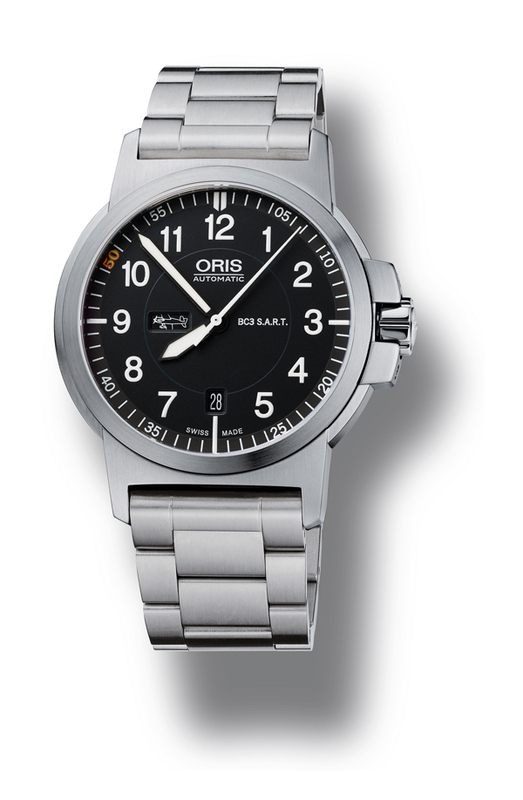 The limited edition Oris Air Racing Silver Lake model is part of a series of watches dedicated to the Oris Air Racing Team and its participation within The Reno Air Race. This year the Swiss Air Racing Team has collaborated with the RUAG Aviation, a military and civil aviation company of excellence, majority-owned by the Swiss confederation. The partnership worked to enhance the aerodynamics of pilot’s Don Vito Wypraechtiger’s plane, the Scarlet Screamer, upgrading it to ensure a place on the podium at the Reno Races in September 2012. The Oris Air Racing Silver Lake edition originates from the Oris BC3 collection and pays direct homage to the design features of Don Vito’s Scarlet Screamer. On the face of the watch, the day indicator at 9 H can be changed to show either weekdays or 7 different sketches of the race plane, whilst the bold No. 50 at 10 H on the minute track in yellow/red reflects the aesthetics and start number of the plane. 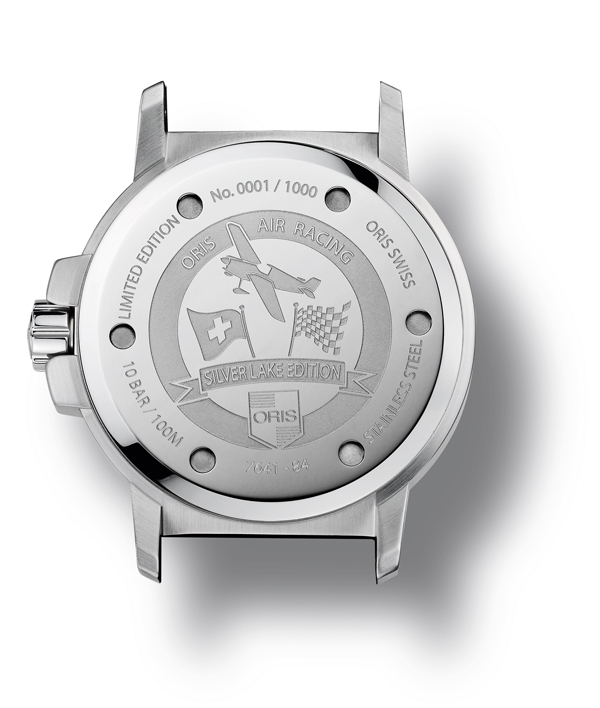 Limited to 1000 pieces, the model features a specially engraved case back with the ‘Oris Air Racing’ logo and engraved limited number. 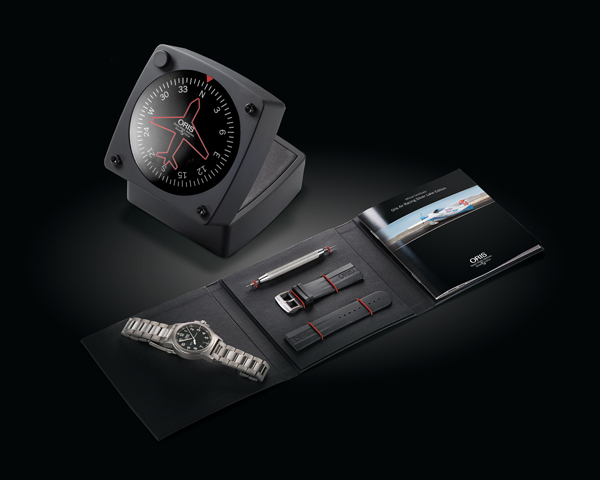 The model comes complete within a memorable set, which includes a certificate, alternate bracelet set and strap change tool. 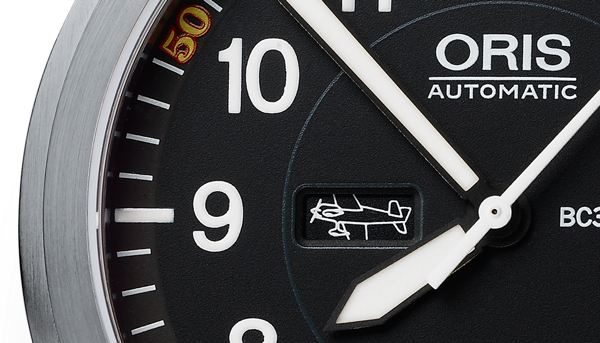 The Oris Air Racing Silver Lake Edition is the perfect timepiece to support Don Vito Wypraechtiger and the Oris Air Racing Team on their mission. changing of bracelet. Limited edition certificate.